Generally, this includes one-three areas where the injured area is treated for both swelling/pain and chronic/tight issues. A custom massage to meet your need and specifications. Deep Tissue Work...Deep in the areas you need it most to relieve tension. A favorite ....targeted treatment begins with a vigorous scrub to remove dead dry skin cells followed by an application of Cellu-Lift Creme that will penetrate the skin to stimulate cells and improve skin tone; then Microcurrent is applied for deep cell stimulation and lymphatic movement, leaving the skin feeling firm toned and slimmer. Get your Glow On! An intoxicatingly smooth exfoliation and hydration with Agave Nectar. Leave your skin feeling smooth, soft and hydrated. A custom treatment designed to meet the needs of your skin. Your skin changes with seasons and temperature frequently. 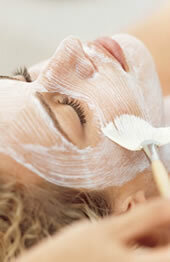 An in depth look at your skins needs and a treatment customized specifically to your concerns and your skin type. Experience the effects of tightening and toning, rehydration and boosting of your skins health in this relaxing treatment. This treatment targets the neck and face and applies special attention to wrinkles of the eyes, and the fine lines around the lips. Complete with hand and arm massage and Enzyme Masque to make your skin feel alive and glowing once again. ALL APPOINTMENTS – Plan to arrive 15 minutes prior to your scheduled appointment to allow us to get to know you and your needs. Late comers will incur the full fee for shortened treatments.